AppleTree is an award-winning organization working to unlock the potential of young children by providing them with the social, emotional, and cognitive skills they need to enter kindergarten ready to thrive. Founded in 1996, AppleTree consists of two non-profit organizations: AppleTree Institute for Education Innovation and AppleTree Early Learning Public Charter School with six campuses across Washington, DC. 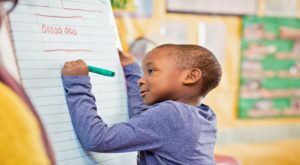 Together, they produce and use an award-winning instructional model that is implemented at all AppleTree public charter preschools and in more than 1,600 classrooms serving 3,200 students in Washington, DC and New York City. 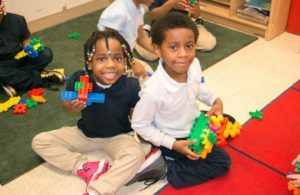 AppleTree currently educates about one-third of three- and four-year olds attending DC public charter schools. In the fall 2018, AppleTree Early Learning Public Charter School moved its Parklands campus to THEARC West with two preschool and two pre-K classrooms. AppleTree is proud to help vulnerable children catch up to their peers. In fact, children who enter AppleTree programs below grade level typically graduate at or above it, with a well-rounded foundation to succeed in kindergarten, elementary school, and beyond.